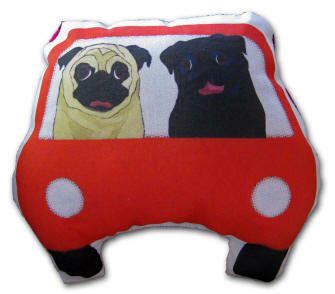 Each doll is happily hand cut, sewn and stuffed. 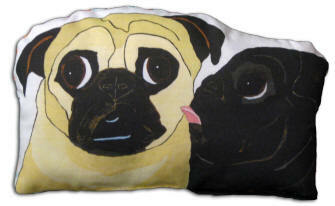 Available in 4 original designs. 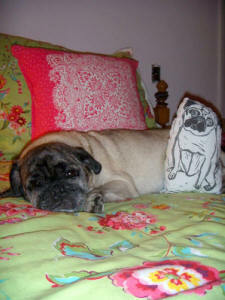 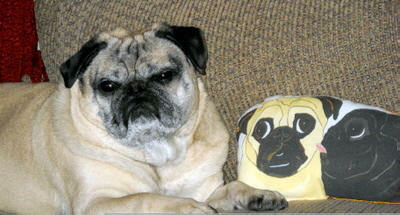 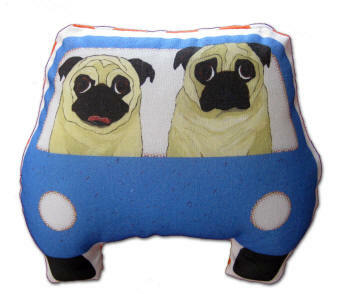 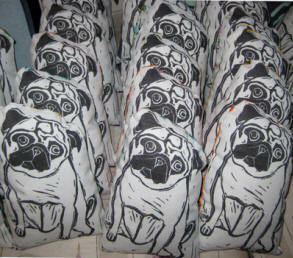 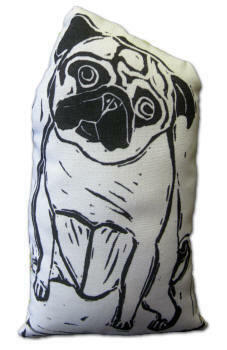 Perfect additions to your pug doll collection! 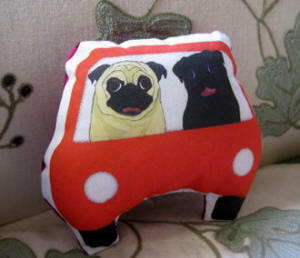 Fawn Pugs on a Joy Ride ~ 5.5" x 6.5" Black & Fawn Pugs on a Joy Ride ~ 5.5" x 6.5"
Pug Stamp ~ 9" x 5" The Kiss ~ 5.5" x 9"
Mojo loves her Emmitt doll!